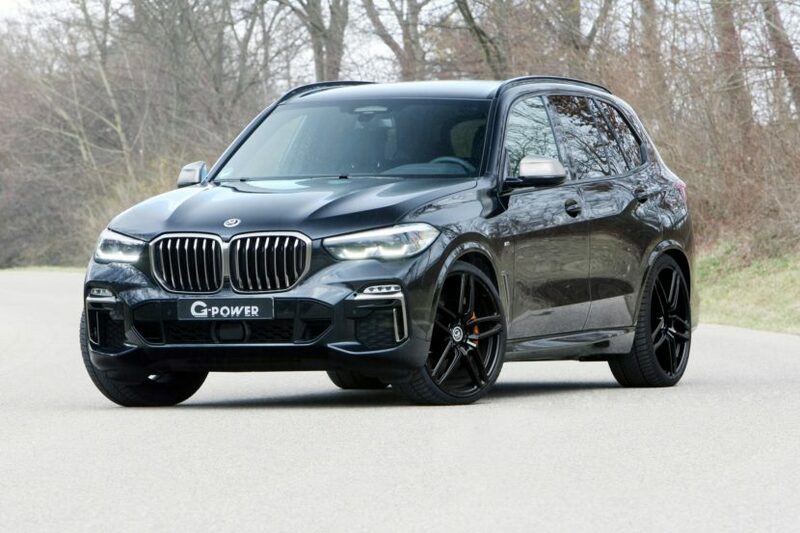 G-Power has quietly unveiled their power tuning program for the BMW G05 X5. The X5 M50d model has received a power bump to 475 horsepower and 865 Nm of torque. 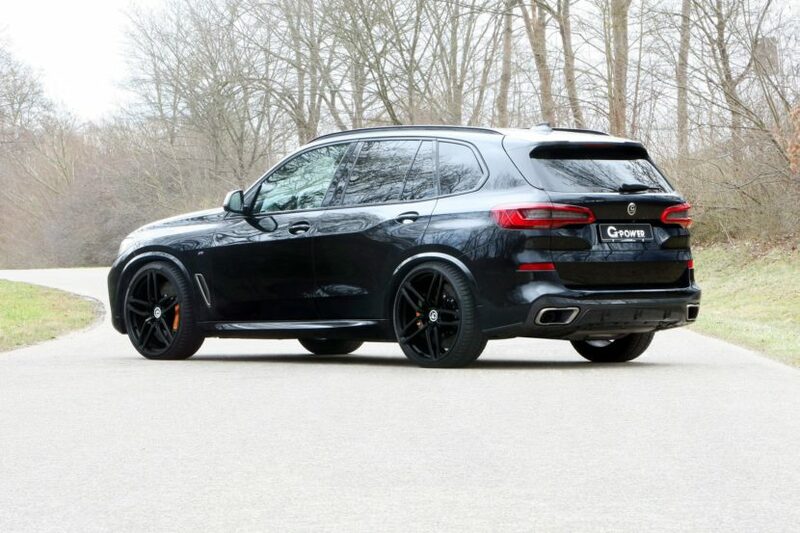 One of the two models built under the M Performance Automobile division – the other being the future M50i in 2020 – the M50d is powered by a quad-turbocharged 3.0 liter inline-six diesel, packing in standard form 400 hp and 759 Nm of torque. With the new power upgrade, it should go from 0-60 mph in around 5 seconds. This new upgrade to the engine power of the X5 M50d is only 99 hp less than the outgoing X5 M, yet with 115 Nm more torque. The price for the power kit is 1,949.99 euros. 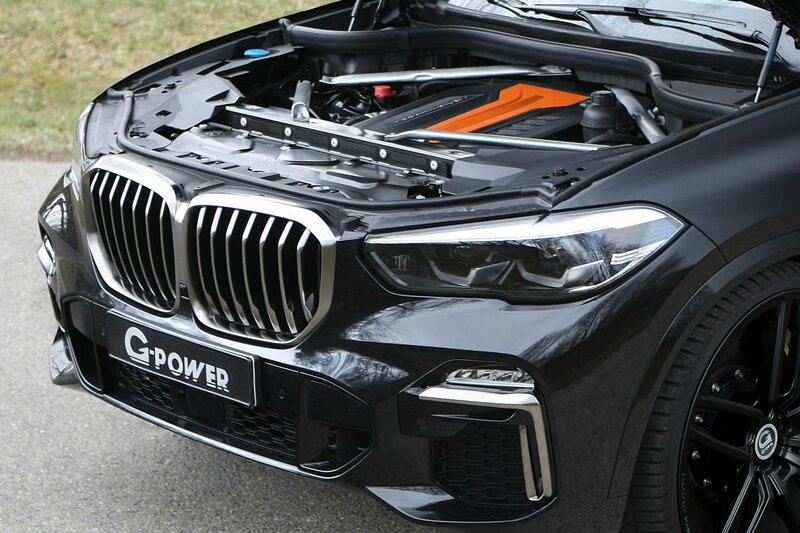 The other model that received a power bump is the G05 X5 50i which now makes 600 horsepower and 810 Nm of torque from the 4.4 liter V8 TwinTurbo engine. The price for this upgrade is 2,450 euros. No other details on the aftermarket program is available now, but judging by the images here you can see new wheel options and of course, the G-Power badging. If you’re in the mood for one of the lower-powered G05 X5s, the German tuning shop has you covered. The X5 25d gets 266 horsepower, the X5 30d is rated at 311 horsepower, the 40d at 375 horsepower. The 3.0 liter gasoline X5 35i gets 355 horsepower. With the new X5 being just a few months old on the market, expect more tuners to bring out their own offerings.